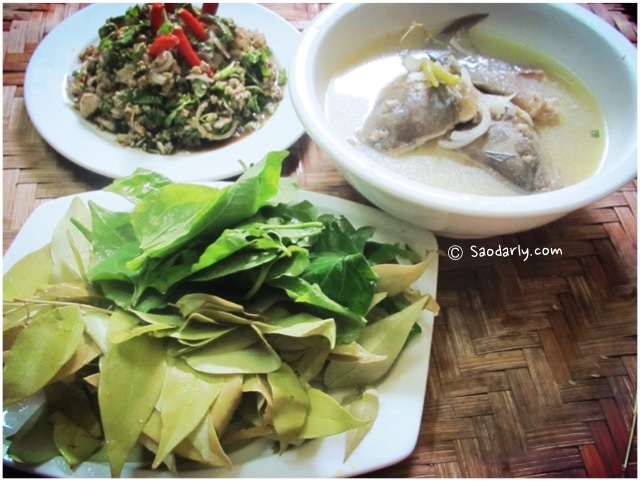 Minced Fish Salad (Koy Pa; ກ້ອຍປາ) and Fish Soup (Kaeng Pa; ແກງປາ) for lunch in Vientiane, Laos. 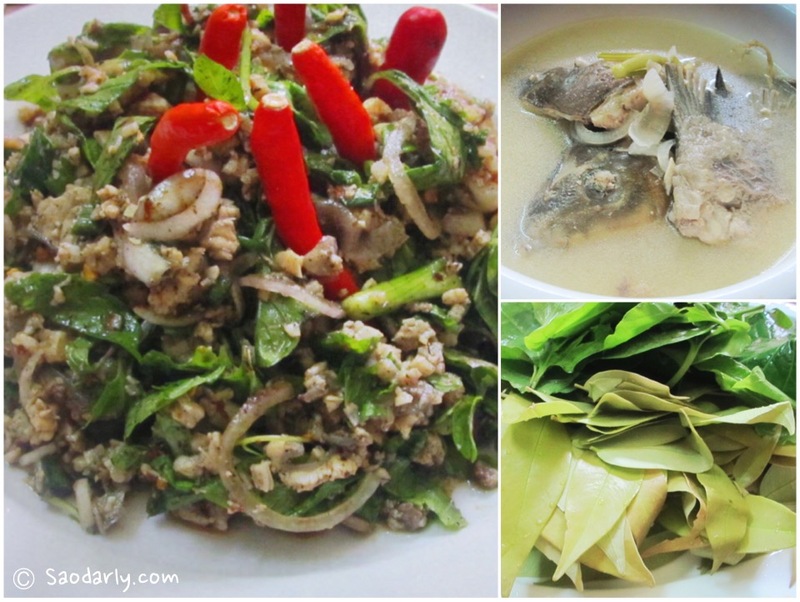 My called this dish Koy Pa Nam Kong because the fish used in the salad is from the Mekong River. 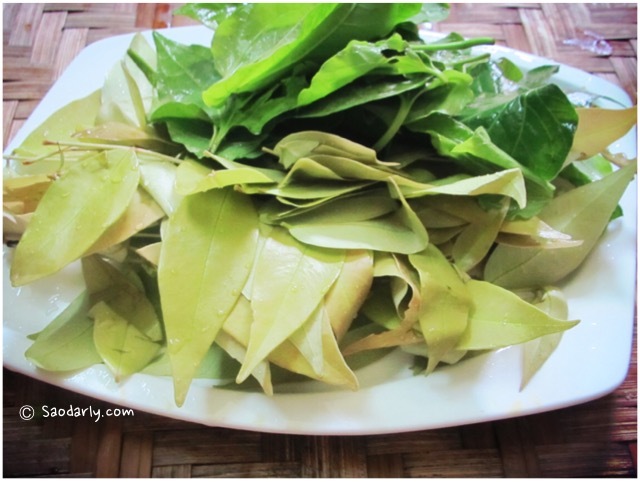 This is is quite refreshing and I like the smell of lime juice in the salad. 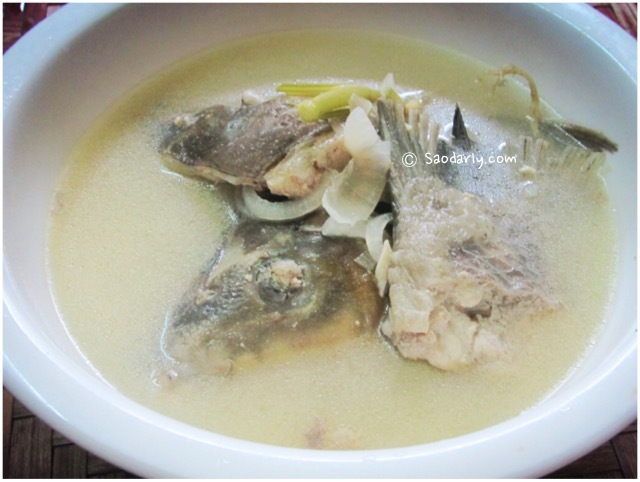 Aunt Kian also made Fish Soup using parts of the fishes that she didn’t put in the Koy Pa. 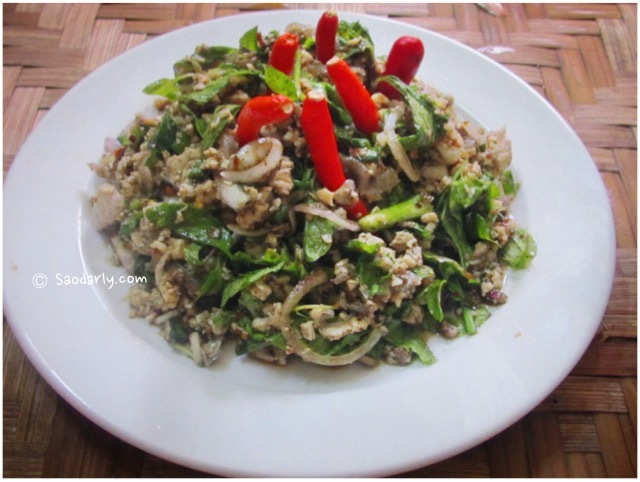 The meal would not be complete without freshly cooked sticky rice and some vegetables on the side.